" I have yet to meet a wonderful woman like Mrs. Justine. I..."
"To the family, I worked with J for a while, I had lots of..."
"What a wonderful life your Mother experienced here on the..."
To every thing there is a season, and a time to every purpose under the heaven. A time to be born and a time to die; a time to plant and a time to pluck up that which is planted. –Ecclesiates 3:1-2 KJV. Job 14:5- You have decided the length of our lives. You know how many months we will live, have set limits we cannot exceed, and we are not given a minute longer. On April 7, 2019 God looked down on His earthly garden. He saw a beautiful and precious rose named Justine Simon Henry. For over 80 years He nurtured, watered and cultivated her for others to see. He shared her beautiful and fragrant spirit with her parents, siblings, spouse, children, grandchildren and a host of other family and friends. He decided to transition her from the cares of this life to eternal reward. Visitation on Friday, April 12, 2019 at Greater Mount Pilgrim Baptist Church, 926 St. Patrick St., Donaldsonville, LA from 5:00pm to 7:00pm. Visitation on Saturday, April 13, 2019 at Virginia Baptist Church, 145 Virginia St., Belle Rose, LA from 8:00am to Religious Services at 10:00am. Burial in Church Cemetery. Justine was born on November 18, 1939 in Assumption Parish, Louisiana to the late Cullen and Louisa Simon. She was the youngest of two children. As a child and young adult, she attended Ascension Catholic School. During her career she held many positions. She worked as a nurse, nurse caregiver and as an assistant for the Ascension Catholic Church. One of her greatest joys was that of being a loving wife and mother. Justine loved the Lord and served Him faithfully. For many years she maintained her membership with the church of her youth, Virginia Baptist Church in Ewellville, Louisiana. She would occasionally visit a local ministry, Greater Mount Pilgrim Baptist Church in Donaldsonville, Louisiana. Justine met her sweetheart and love of her life, Warren Henry Sr. at his friend Homer Richard's barbershop in Donaldsonville. The couple married in 1958 and during that union 8 children were born. They believed in parenting the old time way not like today's microwave society. Genuine love and respect was the order of the day. The family would sit down for meals together 7 days a week. Justine always blessed the family with her love of cooking good, wholesome food. She lived her life in the true spirit of giving. She shared fun times and vacations with her family as well. There was no limit to her humanitarian efforts. If there was a need, she did her best to address it. To characterize her life in song, Mahalia Jackson's words resonate deeply. "If I can help somebody as I travel along…then my living shall not be in vain." Justine was a dedicated mother, aunt, grandmother and neighbor. She loved sitting on the porch and was the best neighborhood watch and Celebrity Mother that anyone could ask for. After she retired her, she decided to have a porch sweet shop that was very affectionately called, "The Sweet Spot For Kids & Son "Stef's" Barbershop" She sold the best snacks, bottles of water and had a special Friday hotdog combo that rivaled the neighborhood Sonic's offering. She would occasionally pop into the barbershop and hold conversations with family members, friends and complete strangers while they were getting their haircuts. Throughout her life she maintained a sweet and simple demeanor and embraced the love of her family and friends. She kept a special promise that she made to her husband to cook for their children and grandchildren every Sunday to carry on their family traditions. She did this faithfully until her health failed and the Good Lord called her from labor to reward. Justine was preceded in death by her parents Louisa and Cullen Simon, only sister, Lillie Mae Honoree, her husband Warren Henry Sr., and the late daughter, Tonjue Henry Christy along with several other relatives. She leaves to live an cherish her memories, 6 children – Warren Jr. (Joan), Michael, Stephon, Donald Ray (Margurite), Lillie and Dana. Grandchildren, Don Christy III (Gabriel), Tylair, Stephon Jr., Roco, Jerrell, Taylor Diamond, Ka'lynn, Keshawn, Donald Jr., Tiana, Tamia, Joshua, the late Michael Jr., Mikalyn, Lil June, 3 God children, Renee Daggs, Bianka August and Kristy Levy Boxley. 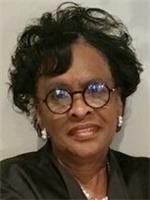 She will be missed by her late sister's children, Justine Gordon (Milton), Eugene "Geno" Williams, Rev. McCullen Williams (Jacqueline) and Joyce Prince (Elijah). She also leaves behind a special sister, Mrs. Mamie Dell Terry of Houston, TX, a special adopted son, Kevin Walker, and a special adopted daughter Pamela Harvey. 13 grandchildren, 13 great-grandchildren and a host of other nieces, nephews, cousins, relatives, friends. Arrangements by Williams & Southall Funeral Home, 101 Loop 945, Donaldsonville, LA (225) 473-1900. To sign guest book or offer condolences, visit our website at www.williamsandsouthallfuneralhome.com.